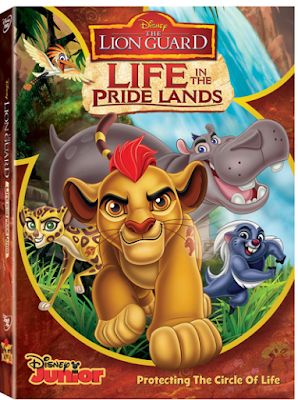 Have you heard about the newest version of the classic Lion King animated film? It's The Lion Guard, and it's totally designed for a new generation of little lion cub fans! This adventure is actually a television series, and the characters so are so adorable. Meet Kion, who is the son if Simba and Nala (the lions we knew as kids). He's Prince of the Pride Lands and the leader the Lion Guard. He's fierce as they come, but also always getting into trouble. Kids will love watching him use his bravery, loyalty and wit to do the right thing and protect the ones he loves! Dusan Brown ("Blaze and the Monster Machines") as Beshte. There are also many of the beloved characters from "The Lion King" who make a comeback for this show, including Ernie Sabella as Pumbaa! You can learn more about this film at the official Disney Junior website! It's available now anywhere Disney Junior DVD's are sold. Wanna Win? 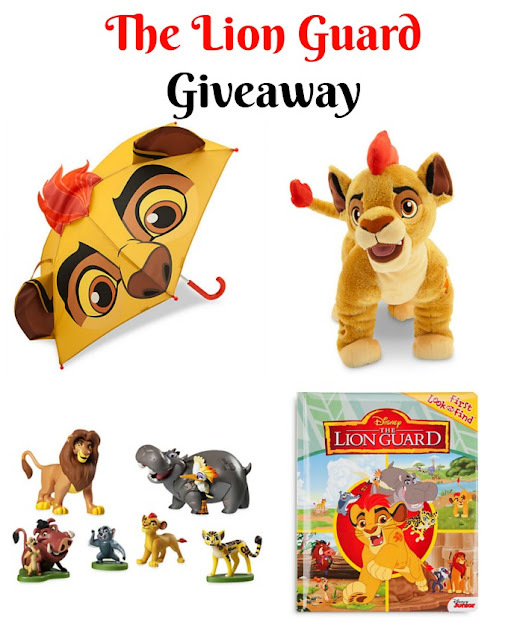 We have a very fun prize pack full of neat The Lion Guard goodies to share with a lucky reader! It includes a toy set, book, umbrella, and plush! To be entered to win, just use the form below by January 17th at 11:59 pm EST. Open to U.S. residents only. *Information and prizing provided by Disney Junior. Opinions are my own.